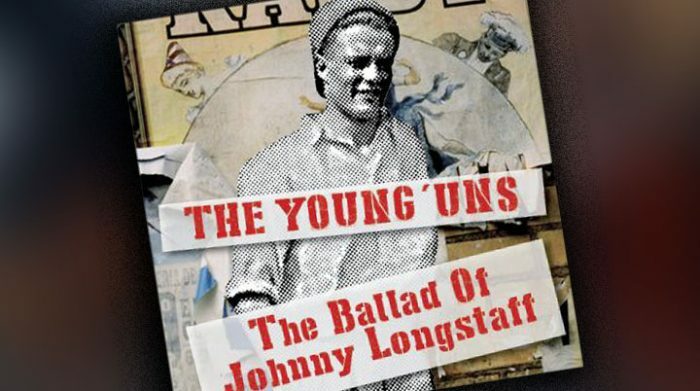 If you were lucky enough to see the first tour of ‘The Ballad of Johnny Longstaff’, it will be no surprise to find that The Young’uns have packaged up the show into a new release. Mind you, the word ‘release’ doesn’t do its lavish packaging justice as you’ll find the music comes complete with a dossier of lyrics and information from the show, photograph, period leaflet, poster and an updated version of The Young’uns newspaper originally made available on that first tour. So, you might ask yourself, what makes this show deserving of such treatment? Quite simply, the life story of Johnny Longstaff makes most of our lives seem short on the big events. Wars, protests, fighting fascism; all captured on recordings by Longstaff himself and provided to the Imperial War Museum. It makes a suitable backdrop for The Young’uns to hang some of their more socially aware songs. Something that Sean Cooney of the band seems to get even more adept at as time goes by. The recording itself is simply structured as a timeline of Johnny Longstaff’s life in song interspersed with those spoken voice recordings mentioned earlier. The record kicks off with ‘Any Bread?’ chronicling an early life of marching in protest against the lack of work. That leads to the next song and its tale of carrying a coffin on a hunger march with the slogan ‘he died of starvation’ emblazoned on its side. War beckons in the later songs but you can’t keep the humour of David Eagle down as he adds a light hearted moment with the vaudeville flavouring of ‘Paella’. However, for most of the time, their mainly acapella approach is employed to get across some serious social messages based on Longstaff’s dedication to the cause of fighting for human rights. Their last album, ‘Strangers’, had many a tale that reminded us of how we should care for others. It was a theme that seemed to catch the mood of the times as many felt threatened about migration. It won accolades and awards aplenty for The Young’uns and I don’t expect that ‘The Ballad of Johnny Longstaff’ will be any different. Oh, except that its tales of fighting fascists seem to catch today’s zeitgeist. 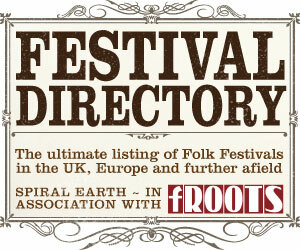 The Young’uns are folk musicians at the top of their game and doing just what folk music should in speaking to the people.